I was inspired by the challenge to create a commission for a wonderful collector. 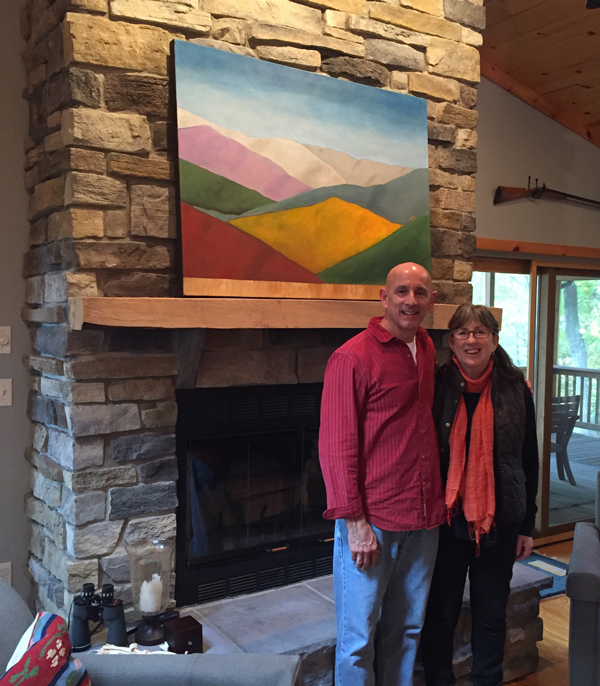 When we installed the 36″ X 48″ painting you could see the mountain landscape continuing through the glass doors on either side of the fireplace. It just looked like the painting belonged and had been there forever.